"Before this, we really had no idea that Paleo-Indians were using salmon or fish of any kind," said Carrin Halffman, an archaeologist at the University of Alaska Fairbanks and an author of the report. "Sites had been dominated by bones of other animals." 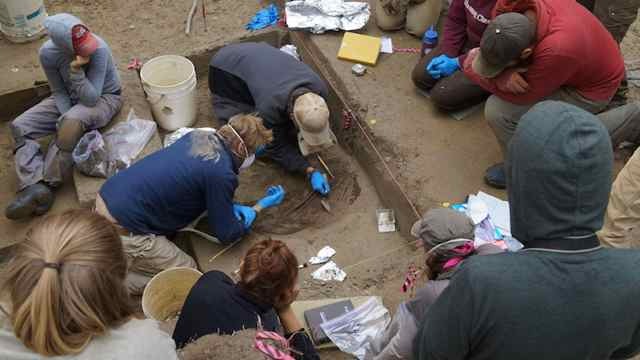 "We're very excited to get this first evidence," Dr. Potter said. "We don't know at this point how much they were using it." It's likely that early groups of people captured only small quantities of salmon, possibly using some type of net, he said.